Happy Tuesday Quick Quotes fans! Crystal here with a set of cards using Quick Quotes new paper line called "49 Shades of Grey". These are a beautiful set of papers and an absolute favorite! My cards are using the same papers, I just moved the sentiments around. Start by trimming your base layer in black to 4.25 x 5.50 inches. 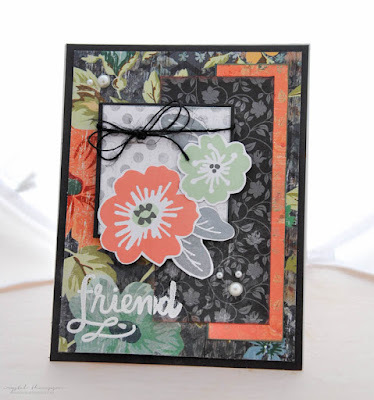 Then trim your base patterned paper to be layered on top of that. Next cut two strips of paper. One will be about 2 inches wide and the other 1 in. 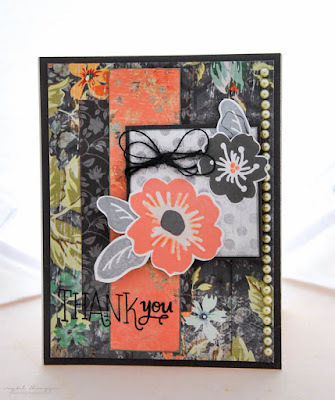 Use your chalking inks around each piece. Cut a square 2x2inches in black and then another square of patterned paper 1.75x1.75 inch. Chalk around that. 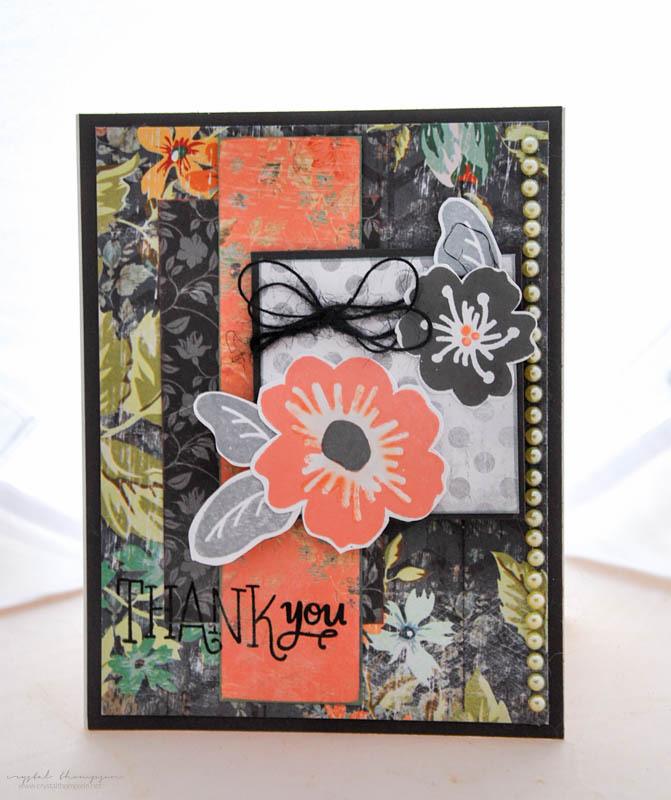 Finish your card by adding a sentiment of choice and stamped flowers.